Our organization, Vanamoolika, since 1991 specialized in the conservation and organic cultivation of medical plants has a vision for a healthy life for humans and an abundant future for nature. Situated in the very middle of the wild green Western Ghats, Vanamoolika has been building over the years, step by step, an approximately 4 acre centre for the conservation of medicinal plans. Here we have created a training centre for people who are interested in learning about organic farming and the conservation and cultivation of medicinal plants. Currently, the centre hosts an unmatched number of more than 700 medicinal plants. For the last twenty-three years we have been trying hard to save the biodiversity in Kerala - and so far we have accomplished substantial successes! In Kerala the number of industries harvesting medicinal plants is growing. Most of these businesses disregard all aspects of sustainability and community. Wild harvesting of medicinal plants from the forests, which is cheaper than their cultivation, is out of control. The result hurts natural biodiversity and is leading to an alarming rapid decrease not only of species and yield but also in quality of products. Kerala in Southwest India is part of the West-Ghat, one of the eight most important UNESCO biodiversity hotspots in the world. Unsustainable wild harvesting and the use of pesticides in large-scale mono-crop plantations are causing a massive loss of plant and animal biodiversity - a dreadful development not only for nature but also a threat for small farmers’ livelihoods. We have built a manufacturing plant to process these plants into organic Ayurvedic medicine, herbal medicine and cosmetics - all by organic, and HACCP international standards. This factory belongs to 375 local women and Vanamoolika as Non-Profit-Organisation provides them the facilities to run this enterprise. Recently we have successfully started establishing partnerships with small companies from Europe for processing coffee and organic spices from our partners Organic Wayanad. 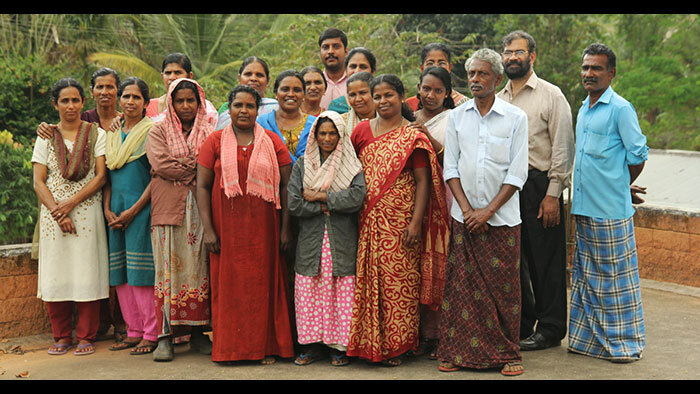 Organic Wayanad is a collective of some 350 local organic farmers that provide Vanamoolika with a number of spices such as cardamom, pepper, ginger, turmeric as well as non-wood-forest crops such as coffee, cocoa, cashew or coconut. The processing and packing of these products meanwhile makes a substantial part of Vanamoolika's income.